StareChairs aims to transform neglected public spaces by offering urban furniture activated with public art. Our intention is to create a site for engagement, conversation and interpersonal connections. We believe that public art has the ability to transform public spaces. 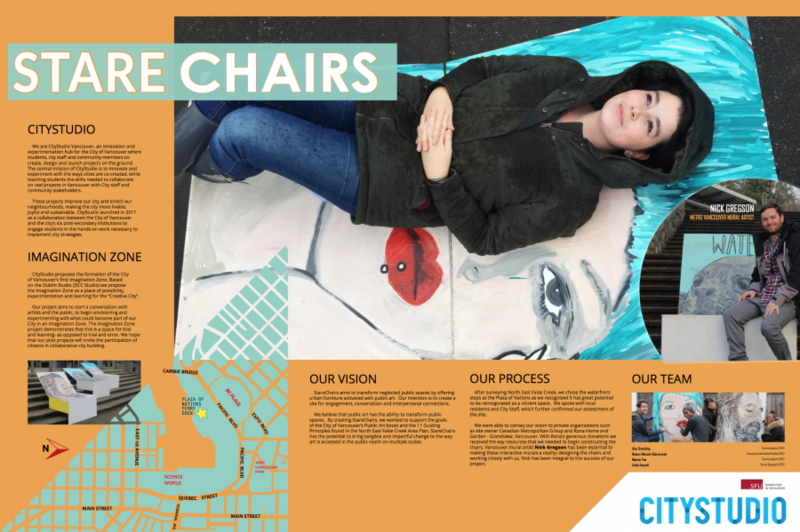 By creating StareChairs, we worked to support the goals of the City of Vancouver’s Public Art boost and the 11 Guiding Principles found in the North East False Creek Area Plan. StareChairs has the potential to bring tangible and impactful change to the way art is accessed in the public realm on multiple scales. After surveying North East False Creek, we chose the waterfront steps at the Plaza of Nations as we recognized it has great potential to be reinvigorated as a vibrant space. We spoke with local residents and City Staff, which further confirmed our assessment of the site. We were able to convey our vision to private organizations such as site owner Canadian Metropolitan Group and Rona Home and Garden – Grandview, Vancouver. With Rona’s generous donations we received the key resources that we needed to begin constructing the chairs. Vancouver mural artist Nick Gregson has been essential to making these interactive murals a reality; designing the chairs and working closely with us, Nick has been integral to the success of our project. 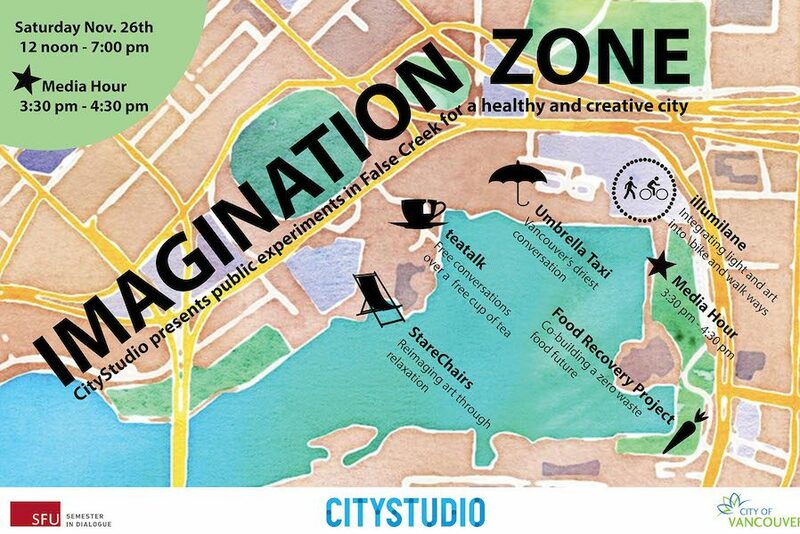 These projects improve our city and enrich our neighbourhoods, making the city more livable, joyful and sustainable. 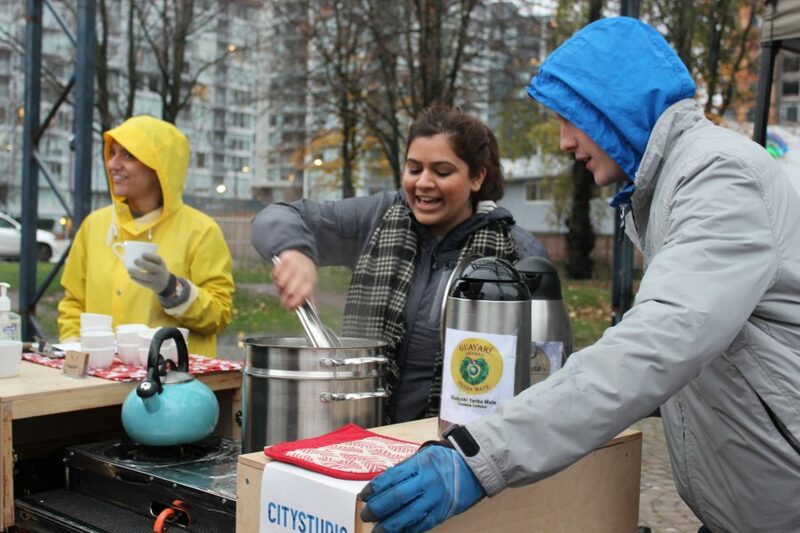 CityStudio launched in 2011 as a collaboration between the City of Vancouver and the city’s six post-secondary institutions to engage students in the hands-on work necessary to implement city strategies.